When My Brain Leaks, the Drops Drip Here. 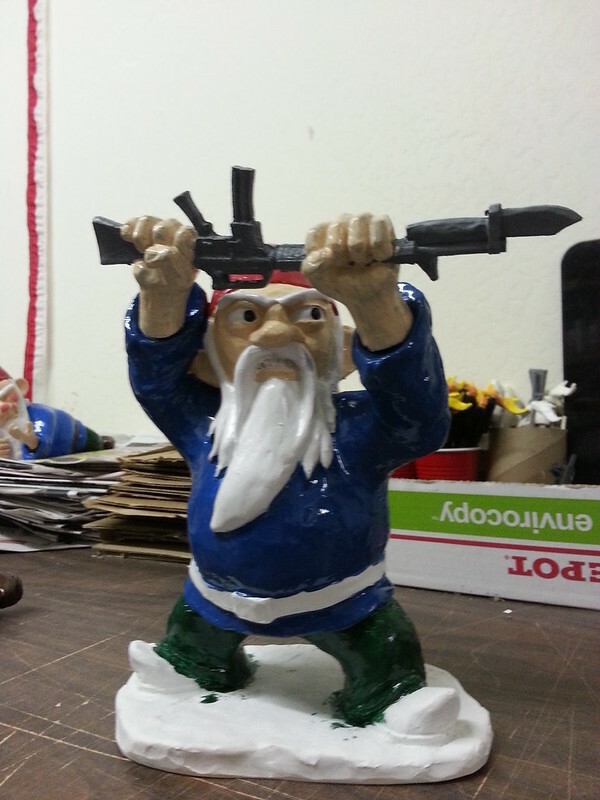 : Coming Soon: Bayonet Attack Gnome!! 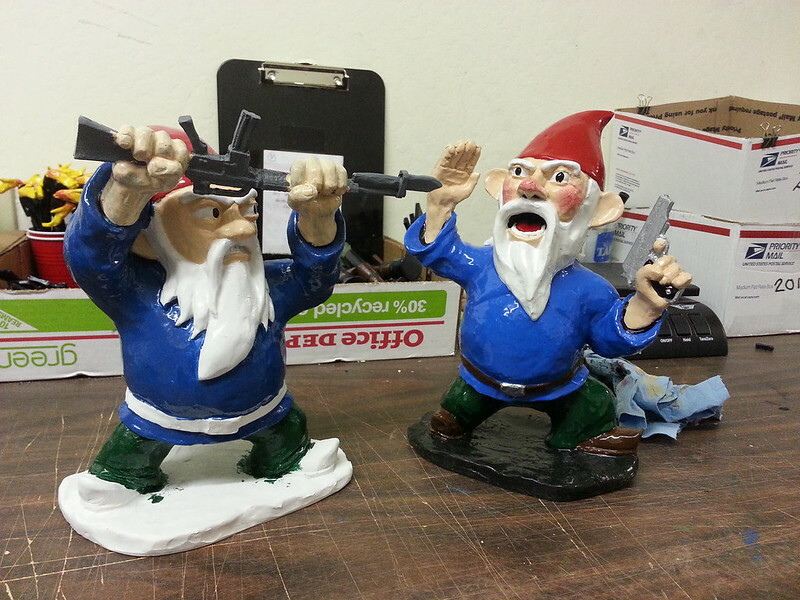 They'll be joining the other nine Combat Garden Gnome variants already available in my Etsy shop at http://etsy.com/shop/thorssoli. 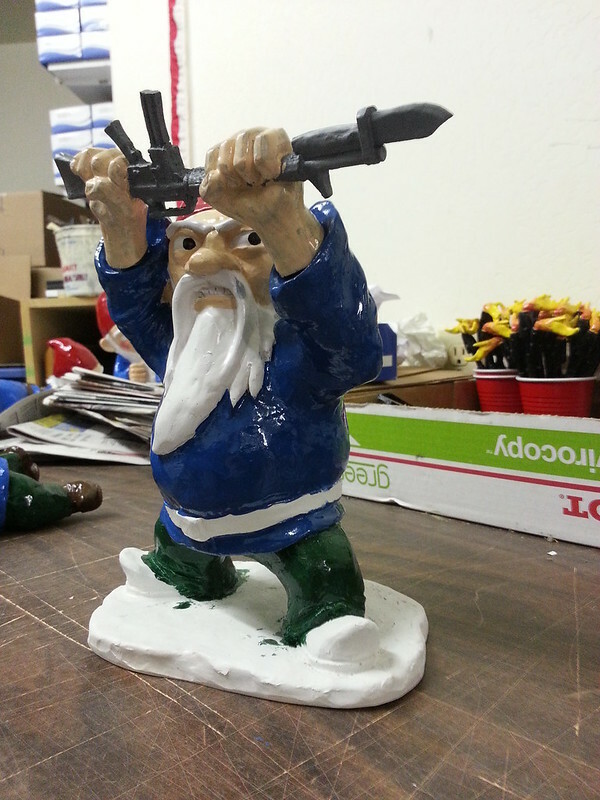 I'm still working on a back story for the new bayonet gnome. Any suggestions? FYI the link to your Etsy shop picked up the period at the end of the sentence so it goes to a "shop not found" page on Etsy. Other than that, great work! Some day I will own the entire set of combat gnomes! Thanks for the heads up. I think I've got it fixed now.